Marks is not alone. Among the more than 3,500 applicants this year to the Daytime MBA program, more than half list one or more of Fuqua’s academic centers as a reason for applying to the school. 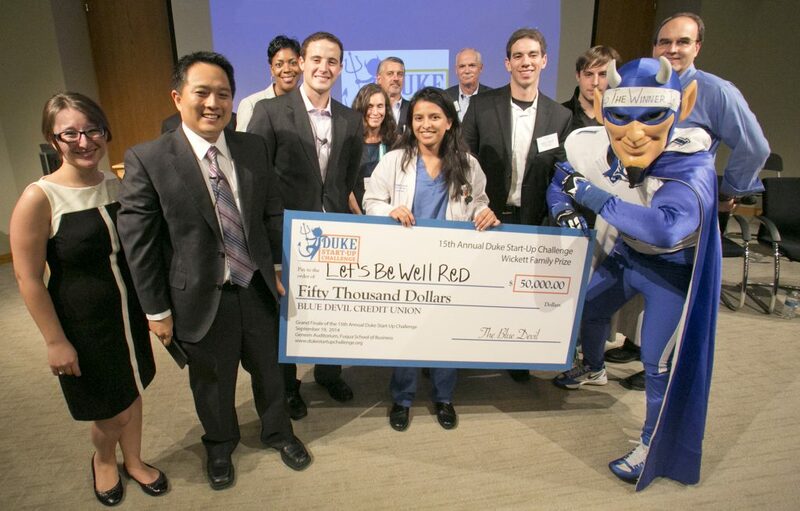 Fuqua’s centers allow students to “go deep” through a wide range of extracurricular and experiential learning programs, like the Center for Entrepreneurship & Innovation’s annual Duke Start-Up Challenge. Centers typically have a three-pronged mission—education, thought leadership, and industry engagement—each with a different thematic focus. By serving as a hub for a particular theme, centers add value for students that goes above and beyond their classroom curriculum. Programming might include seminar series, workshops, or leadership development programs. 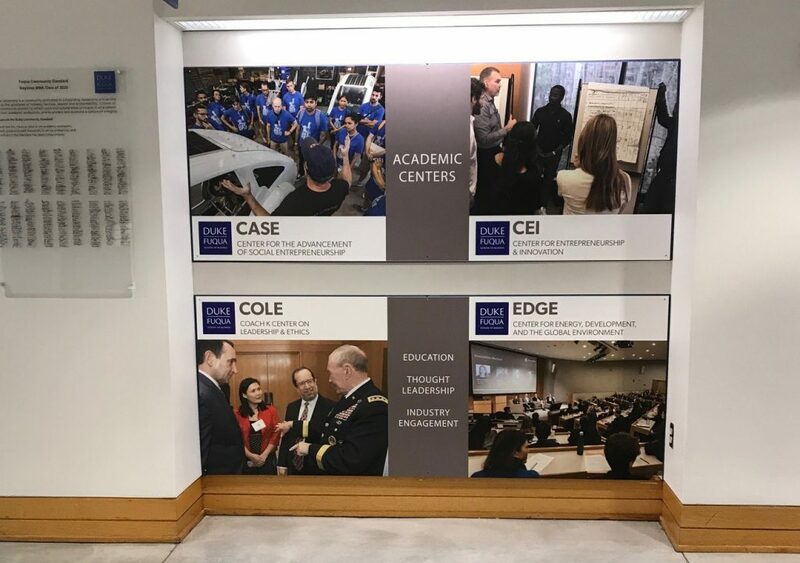 “When students take advantage of the extracurricular programs and experiential learning projects we offer, such as CASE’s Impact Investing Consulting Practicum, they graduate with an extra layer of industry knowledge that makes them attractive to employers,” says Erin Worsham, executive director of CASE. 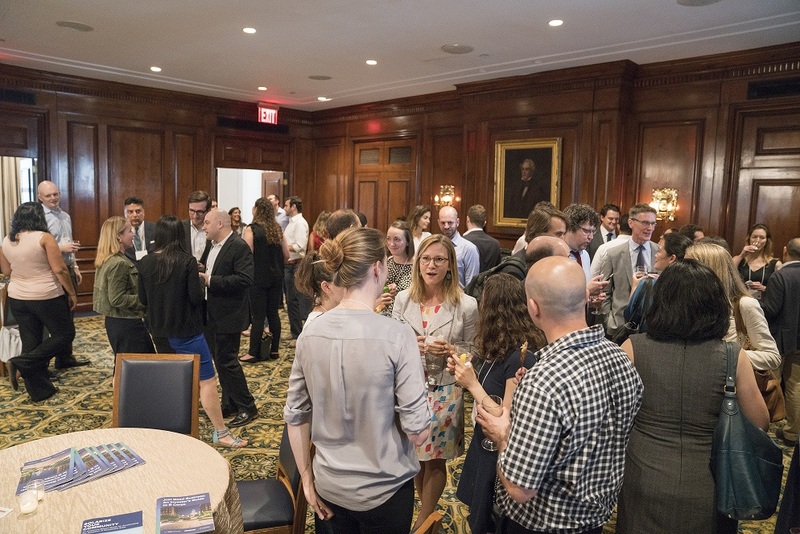 Students & alumni connect at Center-hosted alumni events, like this 2018 reception in New York. In other instances, centers provide an affinity-oriented networking connection for alumni. “Most people have trouble navigating their alumni networks,” says Howie Rhee, CEI managing director. “Through CEI, we provide many meaningful connections that can accelerate the pace at which faculty and alumni get their work done. It’s common for a person that comes to our center to walk out with 5-20 connections to people in their target industry.” Alumni serve on center advisory boards, and speak at center events and conferences. Centers also host industry-targeted alumni events in cities, like CEI’s DukeGEN networking events or an annual sustainability-oriented alumni event hosted by EDGE. Leveraging centers’ thematic expertise, industry knowledge, and relationships with executives helps provide constant feedback about industry trends and direction—insights which Fuqua centers can translate back into value for students and faculty. As prospective students think not only about the quality of their classroom learning, but also the applicability of their experience to their post-MBA careers, centers help ensure that Fuqua graduates are uniquely well-prepared to lead.